Rarely available 2nd floor - end unit condo in El Rio! The unit is light and bright with all the extra windows, and it has wonderful views of the El Rio golf course. Unbelievable price!! Under 100k for this completely updated - move in ready - 1375 square feet, 2 bedrooms and 2 bath condo with assigned parking. The condo has been completely renovated and has tile floors throughout that look like wood. 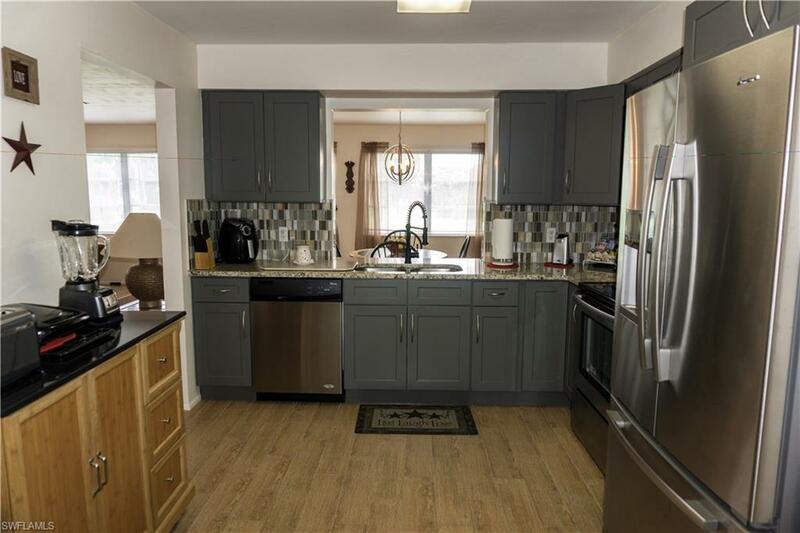 It also features a gorgeous updated kitchen with new cabinets, appliances and backsplash. There are also new lighting fixtures and ceiling fans. Both bathrooms were also renovated and include new cabinets with granite countertops. All new plumbing was installed throughout. There is even a full size washer and dryer in your own private laundry room. And this is truly the perfect location. Less than 5 minutes to downtown Fort Myers and 5 minutes to all the shopping and restaurants on Pine Island Rd and grocery and dining is literally around the corner. This is a 55+ community with low HOA fees. Make your appointment today, will not last long at this price! Tenant is out and ready for the new owner!